Sitting is bad for you. A quick Google search shows tons of research on how standing throughout the day will make you significantly healthier and possibly even extend your life. Thanks to the scientific community’s heightened focus on sitting’s negative side effects in recent years, there’s no shortage of standing desks to choose from for just about any situation. We’ve reviewed our fair share at Cult of Mac, like the NextDesk Terra, the NewHeights, and the Ergotron WorkFit-A. 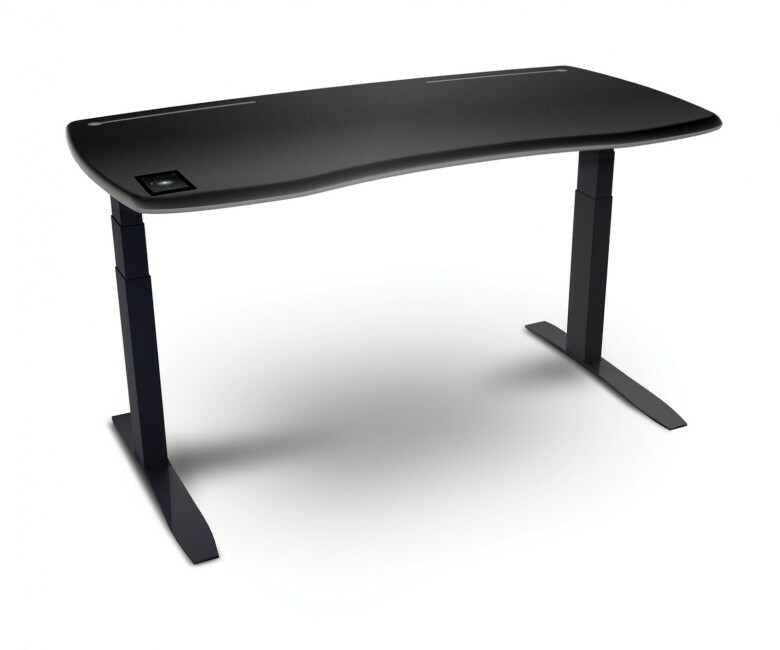 But the new M1 from Stir Kinetic Desk is not only as elegant and high-quality as anything we’ve seen, it’s way smarter. Stir was founded less than three years ago by JP Labross, who also happened to lead the engineering teams for for the iPod shuffle and iPod classic at Apple. After successfully launching its flagship F1 desk in 2014, the M1 is the product of “scrutinizing every detail” from customer feedback, according to Labross. At $2,990, it’s also more than $1,000 cheaper than its predecessor, which puts it closer to an affordable price. The most exciting part of the M1 is its brain, which is covered by a 5-inch LCD touchscreen. Equipped with Wi-Fi and Bluetooth, the M1 is just as much a computer as it is a desk. It can pair with health trackers like Fitbit to track your activity and sense when you arrive to work. The desk’s own software can show helpful health data like calories burned. Stir told Cult of Mac it would be open to integrating with platforms like Apple’s HealthKit down the road, which could potentially let other apps access and learn from your standing and sitting habits. Like other fancy standing desks, the M1 has pre-programmable heights it can adjust between throughout the day. Double-tapping the touchscreen can toggle between a sitting and standing height, for instance. 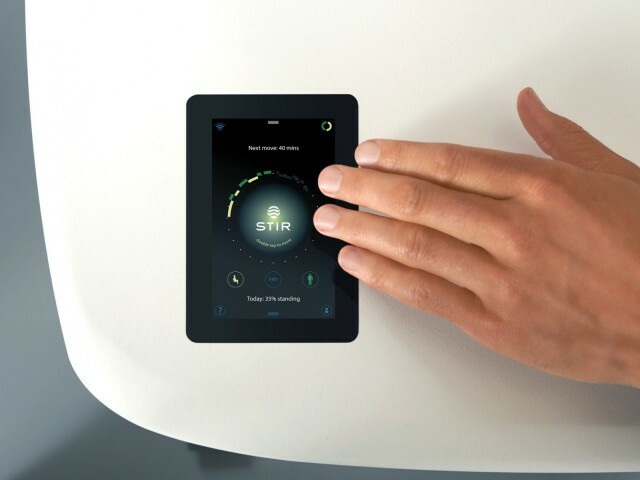 The coolest feature of the M1 is what Stir is calling “Whisperbreath,” a slow, 1-inch rise and fall of the desk surface to remind you that you haven’t moved in a while. I got a preview of the M1 last month at International CES in Las Vegas, and I was impressed with how subtle Whisperbreath felt to the touch. It really did feel like the desk was gentling breathing. Standing for too long can be just as unhealthy as sitting, so it’s a pretty smart, unobtrusive feature to keep you moving. Whisperbreath is just one example of the kind of thought the Stir team put into the M1. Its curved surface is quite pleasing aesthetically, and Stir says it solved a lot of the issues previous desk owners had with the physical dimensions. The M1 supports most clamps for peripherals like studio mics, and its design can be customized for larger installations. I love the way you can route cables through the back of the desk to get them out of the way. You can check out the M1 on Stir’s website. Each desk is made in the United States and available in black or white.